The Elo 15B1 has reached end of life. It has been replaced by the X-Series 15 Inch. 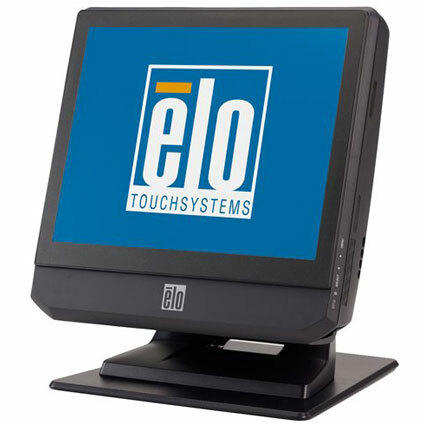 The Elo 15B1 POS computer offers great performance with Elo´s great touchscreen technology, ideal for retail, hospitality, or self-check kiosks. 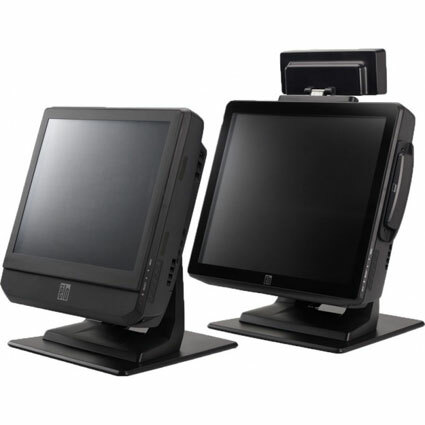 Sturdy and reliable, the 15B1 can keep up with most any POS Software package you throw at it. The 15" monitor on the 15B1 gives you a native resolution of 1024x768, allowing you to display most POS software easily. Elo ships the 15B1 with your choice of Acoustic Pulse Recognition, Intellitouch Surface Acoustic Wave, or Accutouch Resistive touch technologies, ensuring ease of use in a variety of environments. Powered by an Intel Celeron Dual Core 2.2 GHz processor and 2 GB of RAM, the 15B1 is powerful enough to be the primary POS station at any business. Windows XP, 7, or POSReady 2009 come preinstalled on the 15B1, giving you greater compatibility with whichever software you choose. Additional peripherals, including a mountable MSR, fingerprint reader, and rear-facing customer display make the Elo 15B1 a powerful and versatile POS solution. • Dimensions (W x D x H): 14.0" x 10.5" x 14.3"